Cartoonist Terry Willers has died at his home in Wicklow aged 76. 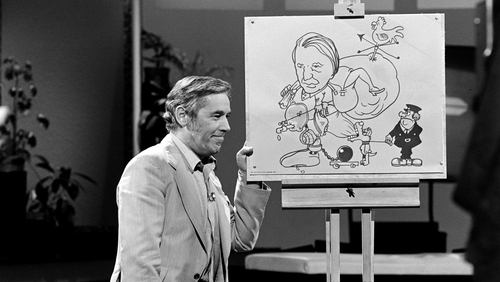 He was well-known for his cartoons on the long-running RTÉ programme Hall's Pictorial Weekly and on the Mike Murphy Show, as well as on the Sunday Independent, Evening Herald and Irish Farmers Journal. For several years he organised an international cartoon festival in Rathdrum, Co Wicklow. His funeral will take place in Rathdrum tomorrow. Mr Willers is survived by his wife Valerie, daughter Julie and son Steven.